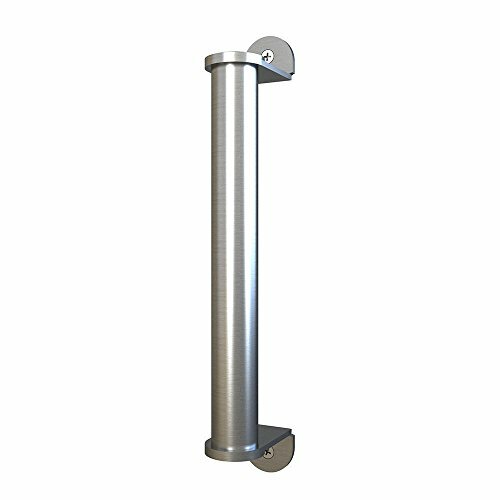 This is a Factory Direct single pull handle, perfect matches our sliding barn door Standard Salt-spray test features a durable and reliable performance for your everyday use. Adds A Unique And Modern Accent To Any Sliding Barn Wooden Door Add A Great Touch of Modern To Your Home, Shed, Cabin, Office or Loft with this Handle. 3.No lock, for wood door only. The pull handle has a length of 10", Cross-Section Diameter 1", hole pitch:9-1/16"
Works on doors 1 1/4" and Thicker, handle depth towards door surface is 2-3/8"
If you have any questions about this product by JUBEST, contact us by completing and submitting the form below. If you are looking for a specif part number, please include it with your message.